This post will teach you how to reset the Canon BJC-3000 series printer manually. 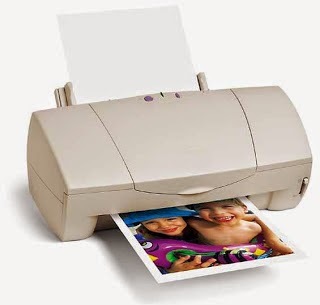 The Canon BJC-3000 series printer is multifunctional and one of the oldest Canon printers. Below we will show you how to reset this printer manually. When you reach a certain number of pages set by the manufacturer, you will receive an error message about the printing pads being filled with waste ink. If you have any question, please contact us by leaving a comment in the section below and we will get back to you as soon as possible. Turn OFF the printer by holding down the short button and at the same time presses the power button, the light will remain the same without flashing. Without releasing the power button release the summary row then press the quick summary button. Then finally release the power button. The abstract light has to be orange and then change to green consecutively. The printer will begin a process has it is about to print something, but do not worry it is the reset procedure. Press three times the resume button to reset the pages counter, press 6 times to reset the pads, it all depends on what is your error. After these actions plug the printer back, the printer is reset and the error should be eliminated.